It’s amazing how a small battery can boost both your feet and motivation. E-bikes make people bike more. Even the ones who never thought they would, or could. The boost of an electric motor can be a very empowering thing. Both physically and emotionally. This little boost however, becomes a significant force when braking or accelerating. Significant enough to boost riders off their seats, one of the main causes of e-bike accidents. Our partnership with Selle Royal was about designing the world’s first e-saddle. A seat specifically designed for the needs and speeds of e-biking. A traditional saddle on an electric bike, is like summer tires in winter. You can do it, but it will be far from optimal, safe or even comfortable. Designed to improve safety, comfort and riding performance. Elevated rear section to prevent backward sliding when accelerating. Acceleration support, extraordinary comfort, and handling ease. Added safety during acceleration through a zone based concept. 3D gel structure that reduces pressure peaks by up to 40%. 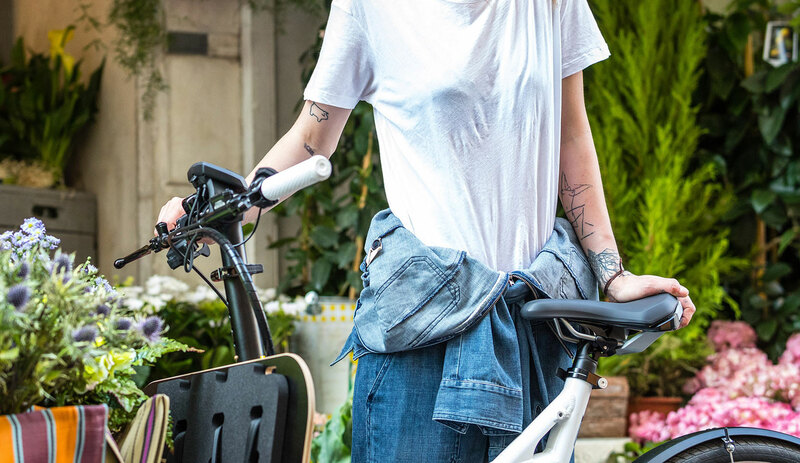 We designed the world’s first e-Saddle to make riders feel confident enough to cover distances that would have been too long for a bike, or too short for a car - in absolute safety and ultimate comfort. Creating a 'zone-based saddle concept', the seat has three ride zones. Featuring flexible wings to cater for enhanced control as well as to support balance and add safety, from the start this unique design communicates to the users that this is a different kind of saddle in a new bicycle segment.